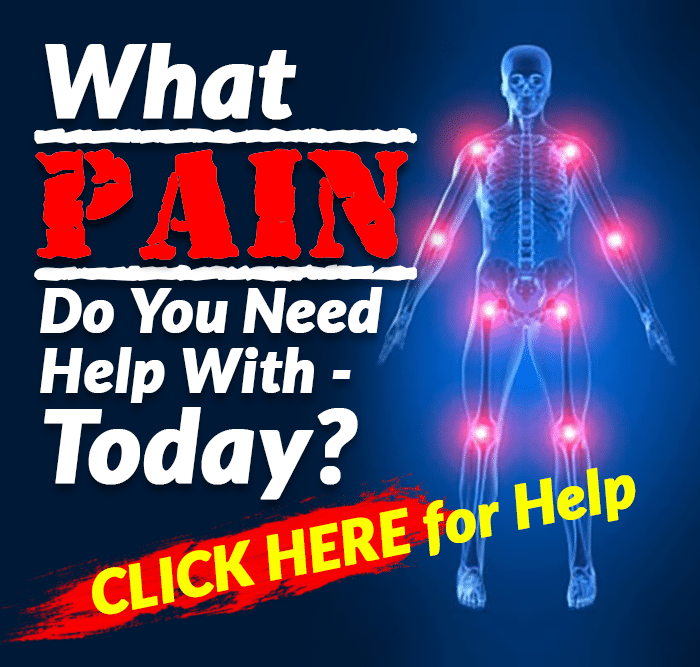 HomeGeneralWhat Causes Joint Pain as We Age? Creaking, cracking and popping joints are fairly common as you get older. 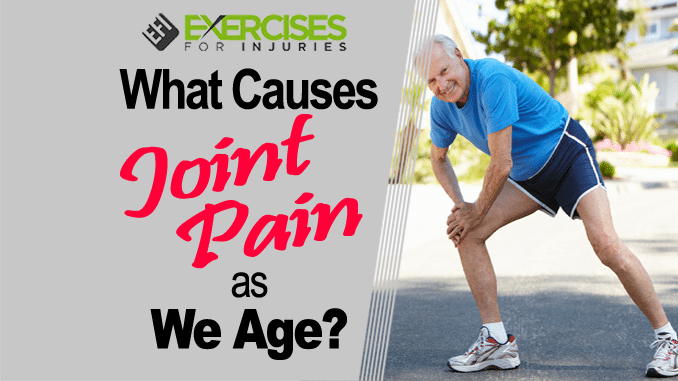 What causes joint pain as you age? Does it happen to everyone? We’re going to take a look at this issue that affects millions of adults every day. We’ll also discover why X-rays are not always a reliable way to determine joint health. In many ways, your body is like a machine. It has moving parts that can wear out over time. The difference though is that the human machine is alive. We’ll see how this can be a disadvantage when it comes to joint pain. It also reveals how you can maintain joint health. The definition of a body joint is where bone meets bone. Still, there are many other components in each joint. For instance, articular cartilage covers the ends of some bones to allow for easy gliding movement. Also, many joints in the body have bursae, which are loosely filled sacs of fluid to provide cushioning. Finally, you have ligaments and tendons to hold bones and muscles together and allow for movement. Just like a machine, there are many parts that must work together to provide proper joint function. What happens though when a car part wears down? You might get some shaking, squealing or smoke. A similar situation happens in your body. For instance, if the cartilage in your knee breaks down with age, you can feel grinding, cracking or pain. Plus, overuse of a joint can lead to inflammation of a tendon (tendonitis), which can be very painful. These problems might occur at any age, such as due to injury. As you get older though, some problems are much more common. When a car’s shock absorbers get old, the ride might get very bumpy. Human body parts also can get worn out but there’s a big difference. You can’t inject something into a car part to make it last longer, but you can do many things to make your body parts last longer. Interestingly, an X-ray of your joint might show the bones look very worn out but you may not have much pain. On the other hand, you could have a healthy looking X-ray and experience severe pain. It’s kind of like that an old car that never seems to break down. It just keeps on going. Seasoned doctors are well aware that X-rays don’t always match the clinical picture. For instance, you could take an X-ray of a 60-year-old person’s knees, and they might look disastrous. Still, the person might not have any knee pain at all or vice versa (good looking X-ray but the patient has a high amount of pain). In a study published in BMC Musculoskeletal Disorders by Bedson, the percentage of those with bad looking knees that had pain can sometimes be as low as 15 percent. On the other hand, as few as 15 percent of those with significant knee pain might show X-ray changes. How pain is defined: Is it simply “yes I have pain” vs. “no I don’t” or is the pain graded by character and severity? One other potential reason that was not mentioned in the study, however, is inflammation. This might be the most important reason of all. If you have a sudden joint injury, things can get stretched out of place, which irritates your nerve endings to cause pain. With more gradual changes over time, however, pain typically arises due to inflammation. That’s why nonsteroidal anti-inflammatory drugs (NSAIDs) like ibuprofen and naproxen relieve pain because they reduce inflammation. This means that anything else that reduces inflammation may decrease pain as well. Structural damage and joint wear and tear might lead to inflammation. Also, inflammation itself might lead to structural damage. So, the best way to preserve your joints is to keep the structures healthy and decrease inflammatory factors. 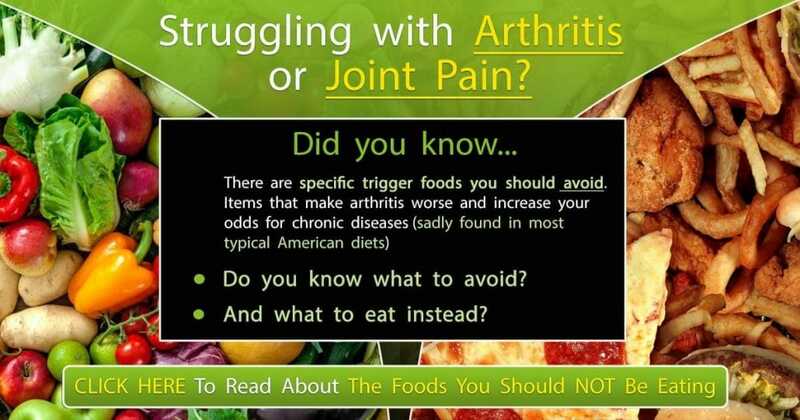 If you have joint pain, you may have arthritis. However, there are actually more than 100 types of arthritic disorders. The most common types of arthritis are osteoarthritis, rheumatoid arthritis, psoriatic arthritis, fibromyalgia and gout. When we talk about the joint pain that occurs with aging, we usually mean osteoarthritis. Other nonarthritic causes of joint pain might be more common with age, such as rotator cuff tendonitis. 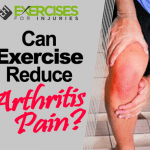 Also, conditions like bursitis are more common in older adults as well. Now let’s look at the three main categories that help keep your joints healthy: mechanical, nutritional and emotional. Inflammation plays a central role in nearly any kind of joint pain including arthritis, tendonitis and bursitis. It makes sense then that an inflammation reducing diet may help prevent pain. 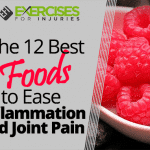 Even better, besides just minimizing joint pain, certain foods may even contribute to joint healing. Some studies have linked low vitamin D levels with worsening osteoarthritis. Vitamin D is made by your skin after sun exposure. About 10 to 15 minutes of direct sunlight twice a week will help keep your vitamin D levels optimal. Vitamin D can also be found in foods like fatty fish, beef liver, cheese, egg yolks and fortified milk sources. You can see that fatty fish give you both vitamin D and omega-3 fatty acids. That’s great. However, be smart about fish consumption since some fish contain mercury and other toxins. Limit the consumption of mackerel, wild swordfish, tilefish and shark. Plus, any type of farm-raised fish may be high in contaminants. Whenever you can, choose wild-caught fish instead. Vitamin K deficiency may also play a role in the development of arthritis. Some of the best sources of vitamin K are green leafy vegetables and broccoli. Sugars: Any sweet foods, drinks, candy or desserts; avoid foods with ingredients that contain fructose, glucose, sugar, dextrose, sweetener, malt, syrup or fruit juice. All of these substances may lead to increased inflammation and joint pain. They all have also been linked to increased rates of depression. One of the reasons this may occur is that some of these foods appear to interfere with the proper intestinal function. This means certain mood hormones, such as serotonin, may not be processed normally. This could lead to a worse mood which can magnify your perception of joint pain. Aging doesn’t have to come with joint pain all the time. Even if you do develop some arthritis, you can take steps to reduce symptoms. Plus, if you have no pain now, the advice found here may keep you pain-free for life.